Announcing the 2014 Corn Conference meeting series sponsored by UWEX and the Wisconsin Corn Growers Association. We invite you to be a part of these conferences. We have a limited mailing list of contacts from previous meetings, but really depend on local agents for the most effective publicity. Please inform farmers from your county or area, and encourage them to attend. Please do not expect the host agent to promote this event in your county. Three hours of Certified Crop Advisor CEU credits in crop production were requested for each session. There is a $5.00 registration fee per participant. The information packet will contain 2014 corn hybrid trial results, plus numerous production related reference materials. Additional copies of the packet will be available for purchase at the meeting. Below is a list of topics, meeting sites, dates and times. Join us at a meeting in your area. 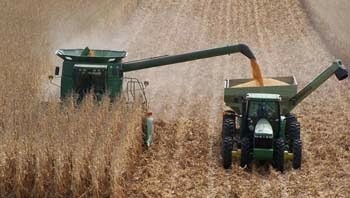 What is Ahead for Wisconsin Corn? What is New in Seeds and Ag Products for 2014? Poynette: Land Rent – What should I pay? Thanks for your help. If you have any questions, please contact me.